Foster homes are essential in helping get more greyhounds into the programme and to prepare them for their retirement lives as pets. While the majority of our hounds adjust easily to life as pets the transition is made easier by a period in foster care. And as soon as one greyhound goes into foster care - it frees a kennel space in GAP kennels for another ex-racer to be processed. GAP foster carers introduce their hounds to normal pet life - this would include meeting other dogs, visits to the local park, toiletting, walking up stairs. Foster carers are fully supported with everything their dog needs (food, gear, vet etc) plus advice on hand from our Kennel Managers. It is perfectly fine if you work! Greyhounds get adopted in similar situations and it is good for them to learn about it. As long as you have time to walk and socialize your foster greyhound before/after work, that is perfectly fine. It is not a problem if you are a few hrs drive away from Manawatu - you dont have to be near. 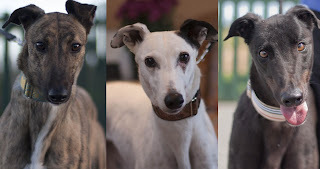 We feel priviledged to be able to foster these lovely dogs, and help GAP get more ex-racers into homes. So please, do consider fostering -the difference you will make to greyhounds' lives is HUGE.